Ms Jacobsen’s visit to the Istanbul Bar Association. Visit and report was carried out by Ms. Maria Hessen Jacobsen who is the member of the HRC of Advokatforeningen (Norwegian Bar Association). The report is based on a trial observation where defendants were lawyers, interviews with Istanbul Bar Association, a human rights organization, lawyers, and family of a detained lawyers. 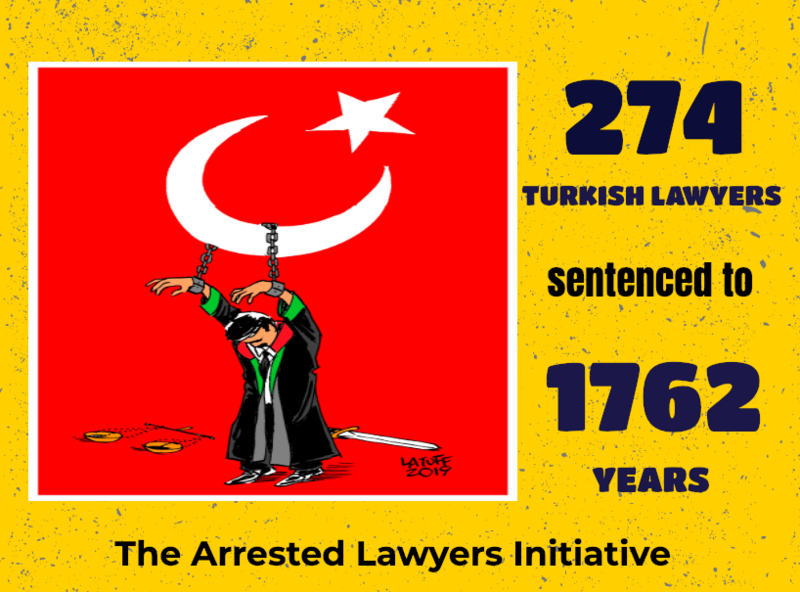 ‘As of September 2018, 1546 lawyers have been prosecuted, 590 arrested and 181 have been convicted since the failed coup d’état in 2016. In March 2018 the UN called for an end in the state of emergency, accusing the Turkish government of mass arrests, arbitrary sackings and interference in the independence of the judiciary . More than 160,000 people have so far been arrested, and nearly the same number of citizens have been dismissed. The numbers are “staggering” according to the UN High Commissioner for Human Rights. In July Turkey ended the state of emergency, but the trials against lawyers, judges and journalists continue.’ said in the report. We stress the importance for respect for the importance of lawyers’ rights to perform their duties without “intimidation, hindrance, harassment or improper interference” as stated in the UN “Basic Principles on the Role of Lawyers”, Art. 16. Lawyers have a right not to be identified with their clients or causes (Art. 18). We urge the Turkish authorities to have due respect for the right to a fair trial and refer to Art. 6 of the ECHR, Art.14 of the International Covenant on Civil and Political Rights. We stress the importance of an independent judiciary, as ECHR Art. 6 § 1 and ICCPR Art. 14 § 1 as a prerequisite of a fair trial. We share the UN concerns on the lack of separation of powers and the withering rule of law in Turkey. We urge Turkish authorities to refer from prosecuting lawyers based on statements and actions protected by the freedom of expression and of assembly in ECHR Art. 10 and Art. 11 and ICCPR Art. 19. Several of the charges (terrorism-related) are based on laws that in our opinion does not meet the required standards of lex certa (In particular §§ 220, 314 and 302 of the Criminal Code) and we strongly fear that they are not supported by sufficient evidence to merit criminal persecution. We take note of the third-party intervention of the Commissioner for Human Rights and the Special Rapporteur in Alpay v. Turkey (16538/17) § 96-97 underscoring “the political nature of the decisions ordering and extending pre-trial detention”, and we express our deep concern regarding this development. We regret the shut-down of more than 30 bar associations since July 2016. Lawyers are entitled to form and join independent professional associations (UN principles §§ 23 and 24, and Art. 22 of the ICCPR), and these are essential for the lawyers’ ability to perform their duties and thus the well-functioning of the legal system.